The hybrid cloud is widely expected to be a key force in enterprise computing in the coming years, so it's no wonder vendors are scrambling to bolster their capabilities on that front. Case in point: IBM on Tuesday bought Gravitant, a maker of brokerage software designed ease the purchase and management of software and services across mixed cloud platforms. Founded in 2004, Texas-based Gravitant develops cloud-based software designed to make it easier for organizations to plan, buy and manage software and computing services from multiple suppliers across hybrid clouds. 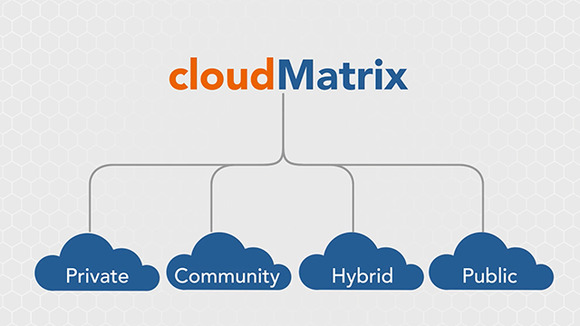 In particular, its cloudMatrix brokerage software lets companies personalize IT service consumption and unify delivery through a self-service store, dynamic marketplace and continuous delivery engine. Users can review, compare and purchase compute and software services from different suppliers via a central console. Once purchased, the technology can be offered as a service and managed from the same place. Equipped with those capabilities, companies can integrate mixed cloud environments and manage them digitally for better performance and efficiency -- or at least so the thinking goes. Among the benefits Gravitant touts are a 50 percent reduction in infrastructure and operation costs. IBM now considers Gravitant's technology a key component of its expanding hybrid-cloud services, according to Martin Jetter, IBM's senior vice president for Global Technology Services. The company plans to integrate Gravitant's capabilities into its Global Technology Services unit. IBM Cloud, meanwhile, will integrate them into its software-as-a-service (SaaS) offerings. "While it's become increasingly apparent that enterprises are gravitating toward hybrid cloud, there are still challenges to effectively engaging and using those services," said Charles King, principal analyst with Pund-IT. Among the issues businesses face are the need to assess the value of multiple cloud suppliers, develop centralized purchasing and management systems and understand how cloud services are being used. "IBM clearly understands those points," King said. "Its acquisition of Gravitant should help to address them."